I really liked the apartment i stayed at, it was very comfortable and enough space for everyone. The kitchen is great and has full equipment where our group of friends could cook breakfast, lunch or dinner. Also the grocery is walking distance from the location which is great advantage. Thank you! Very untidy apartment, not clean at all. Nothing was in order, dirty linen, pillows, blankets, etc. Very uncomfortable beds. No lights in toilet & no wash basin, we had to use it in the dark or with our mobile torch. Very Bad apartment. To reach the apartment my family had to climb 62 narrow, old & dangerous wooden stairs. Luckily Charles help to carry one bag and came to pick up and drop off to Train Station, which we paid for. Would like to know how he has got good ratings in booking.com? Not recommend at all to any one. Electrical fixtures not safe at all for adult & children. 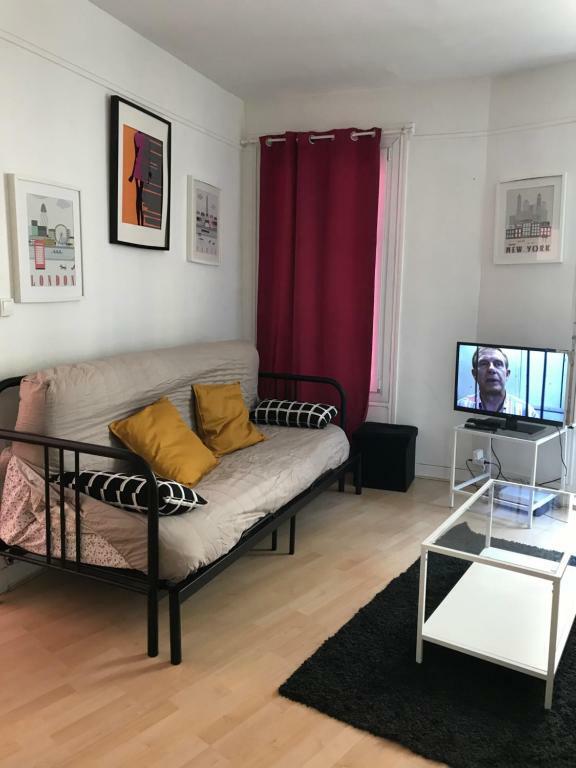 Great location, close from Center of Paris. 2 minutes from sacré cœur by walking. Enough space for 6 people. I recommend that place. La posizione della casa è nel quartiere di Montmartre... a due passi dalla Basilica del Sacre Couer! 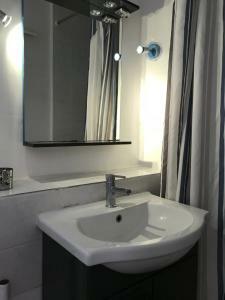 Anche se la zona è piuttosto vivace l'appartamento risulta molto tranquillo. Die zentrale Lage direkt im Montmartreviertel ist einfach wunderschön. Alles war sauber und ordentliche. Für vier Personen optimal, für sechs Personen für kurze Zeit völlig in Ordnung. quartier extraordinaire! soleil au RDV.café et croissants dans les boulangeries autour, restaurants et terrasses très sympathiques. 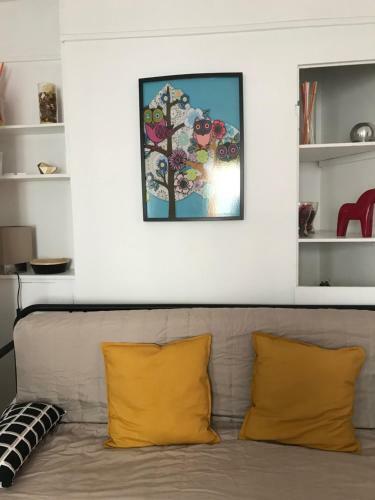 Appartement idéalement équipé pour nous 4. Matelas très confortables.Cuisine avec tout ce qu'il faut. Une visite du "vrai "Paris des artistes, des bistrots, des brasseries comme on les imagine.Appartement situé au coeur. L'appart est très,très bien situé.tout près de la place Du tertre et du sacré Coeur. Rue super sympa.Commerces, cafés et restaurants tout autour.Rue très touristique.Appartement tout équipé.lit confortable;canapés lit pratiques et confortables.Cuisine fonctionnelle. One of our best sellers in Paris! 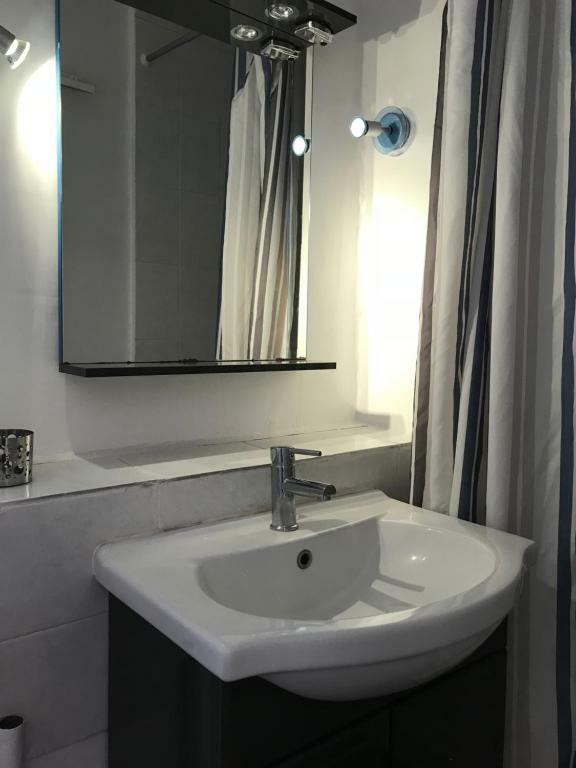 Located a 16-minute walk from La Cigale Concert Hall in Paris, Sacre coeur Paris Montmartre offers accommodations with a kitchen. This property has a patio and free WiFi. The apartment has a flat-screen TV, 1 bedroom and a living room. Sacré-Coeur is 1.1 miles from the apartment, while Opéra Garnier is 2 miles away. The nearest airport is Orly Airport, 13 miles from Sacre coeur Paris Montmartre. 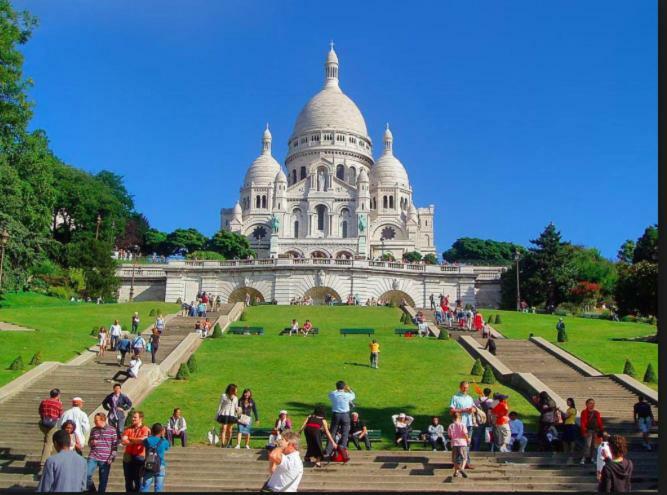 When would you like to stay at Sacre coeur Paris Montmartre? This apartment has a patio, dining area and oven. House Rules Sacre coeur Paris Montmartre takes special requests – add in the next step! Sacre coeur Paris Montmartre accepts these cards and reserves the right to temporarily hold an amount prior to arrival. No elevator. Apartment on the 3rd floor. Difficult with kids and baggage’s. The host picked us up from the train, which was good, but we wanted to pay in cash and I went to an ATM to take out cash, gave him the proper amount and then went back to the apartment. The host called me and told me I owed him 100 euros. Which wasn’t the case at all as I had counted all the cash in front of him. The host called back later and said that I was actually correct. The apartment didn’t have enough toilet paper or paper towel, we had to buy our own. The owner also told us we needed to “clean the apartment” before we left, which is ridiculous because we had to pay a nightly cleaning fee. On top of that, even though I paid in cash, there was an attempt made on my credit card to charge me for the booking after I left!!! Which was luckily denied, but I’m shocked that they would try to charge me double. Honestly it was a sketchy situation and I wouldn’t recommend. The accommodation was good, but the way it was organized is not. The entire apartment - Iron Board kept in the toilet, TV wiring kept loose, Electrical fixtures not safe at all. See pictures taken from my cell phone. The apartment location is amazing.